Disney Parks guests are invited to show their “Disney Side” and kick off summer during a bi-coastal, all-night extravaganza — “Rock Your Disney Side: 24-Hours.” Taking place this Memorial Day Weekend, known as the traditional start of the family travel season, the event at Walt Disney World Resort in Florida and Disneyland Resort in California features select parks for 24 hours nonstop. 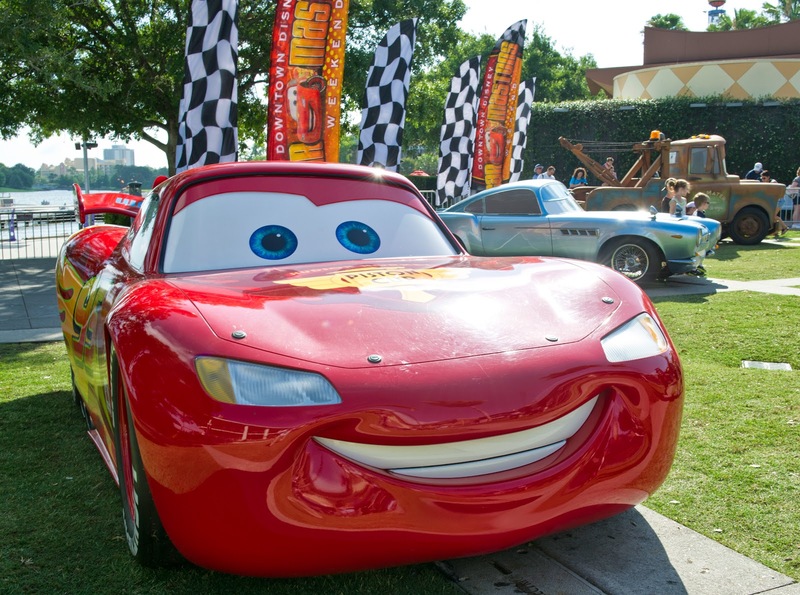 Magic Kingdom in Florida and Disneyland Park and Disney California Adventure in California will be filled with great Disney heroes and villains from 6 a.m., May 23 to 6 a.m., May 24, 2014, local time** marking the beginning of a summer of fun at Disney Parks. The celebration on both coasts will feature a cavalcade of events showcasing the good-vs.-evil of classic Disney stories including character meet-and-greets throughout the parks, special entertainment, event merchandise, and food and beverage offerings. Along with the entertainment guests have grown to love every day, they’ll discover surprise additions and special events throughout the 24 hours. 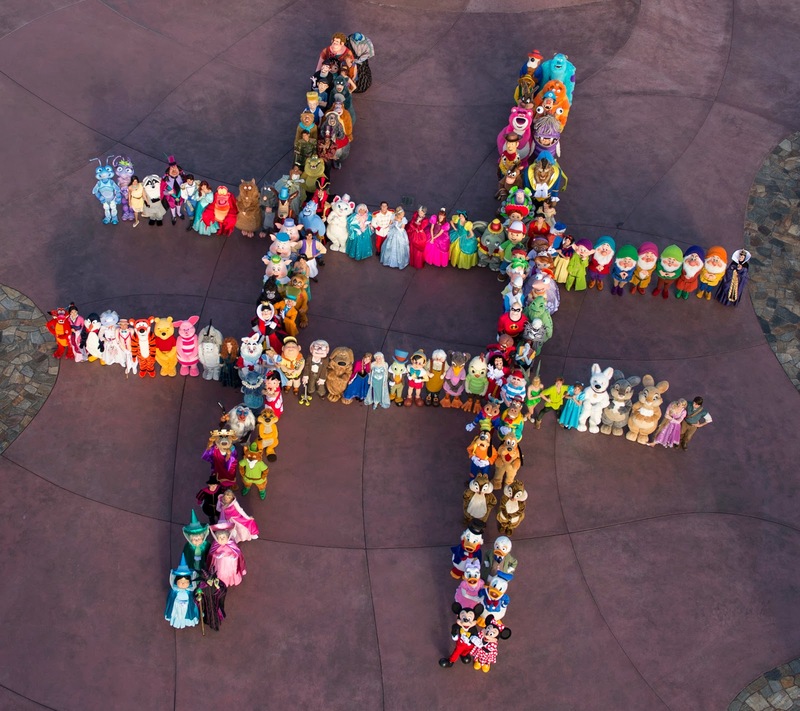 Mickey Mouse and 139 of his best pals announced the 24-hour party Feb. 28 in their own inimitable style – with a 140-character-strong “Ultimate Tweet,” sending a #DisneySide message to all their fans on social media to come out to the park on May 23. Fans will be able to “rock” their Disney Side all summer long at Walt Disney World Resort. Guests will find new excitement including the completion of New Fantasyland – the largest expansion in Magic Kingdom history – with the new Seven Dwarfs Mine Train family roller coaster attraction. Other summer festivities include the New Fantasyland-inspired Disney Festival of Fantasy Parade and the rollout of MyMagic+, taking the Disney guest experience to the next level. 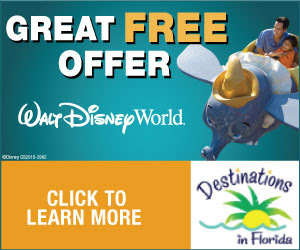 And vacationers can stay in the middle of the magic this summer with a special savings at select Disney resort hotels. 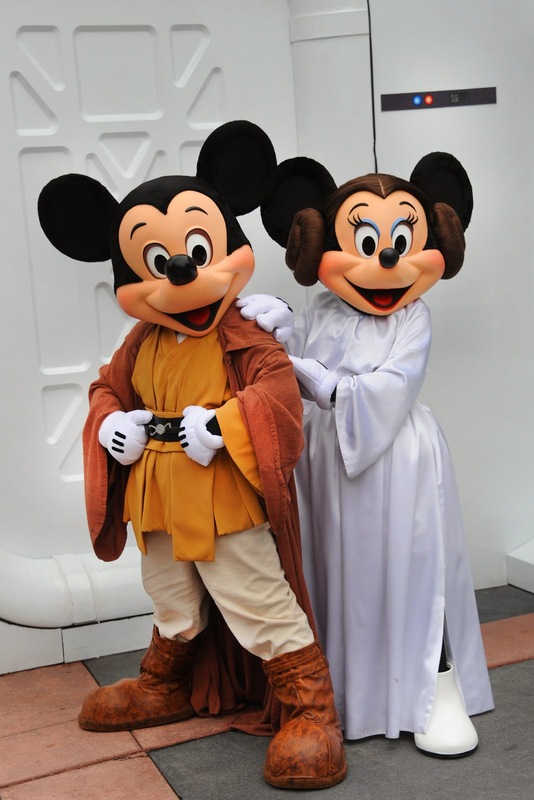 The power of the Force returns to Disney’s Hollywood Studios for five consecutive weekends (every Friday, Saturday and Sunday) from May 16-June 15, 2014 for the park’s annual Star Wars Weekends. Guests will enjoy a galactic event jam-packed with out-of-this-universe entertainment and their favorite Disney’s Hollywood Studios attractions. More than 60 characters from the Star Wars saga appear in the theme park, and each evening will end with “Symphony in the Stars,” a special pyrotechnics salute to the films. Most Star Wars Weekends activities are included in regular admission to Disney’s Hollywood Studios. For more information and the latest updates, guests can visit DisneyTheForce.com, DisneyParksBlog.com and StarWars.com. Guests also can join the conversation online using the hashtag #DisneyTheForce. Summer brings new shopping, shows and stays with special openings taking place throughout the season at Walt Disney World Resort. The hugely popular Festival of the Lion King show re-opens by mid-summer to an all-new theater in the Africa section of Disney’s Animal Kingdom. A new Disney retail concept, The Marketplace Co-Op, will launch 6 unique boutiques within the location at Downtown Disney Marketplace including: Beautifully Disney, Cherry Tree Lane, D-Tech on Demand, Zoey and Pickles, The Trophy Room and Disney Centerpiece. Also new to Downtown Disney, Starbucks will add two locations — a storefront at Downtown Disney West Side and a kiosk near World of Disney at Downtown Disney Marketplace. Four Seasons Hotels and Resorts also is planning a summer opening for a luxury resort hotel at Walt Disney World Resort. Four Seasons Resort Orlando at Walt Disney World Resort will feature several dining venues including a rooftop restaurant with views to the Magic Kingdom, a 14,000 square foot spa, fitness center, three pools and a “lazy river” sports and recreational area, as well as meeting and event space, and a business center. This first Four Seasons in Central Florida is located within the Golden Oak residential community, created and master-planned by Disney. Disney Soccer Academy: Beginning in mid-June, Disney Sports is offering four-day instructional soccer camps for kids age 5-18 years old. Participants will get instruction from world-class professional players from Brazil and the English Premier League. The three session options are June 16-19, June 23-26 and July 7-10. AAU Girls Junior National Volleyball Championships: The most highly touted high school girls volleyball players in the nation will flock to Walt Disney World Resort this summer for the Amateur Athletic Union (AAU) National Volleyball Championship. The event runs June 16-24 at ESPN Wide World of Sports Complex, features players age 10-18 years old and attracts top college scouts looking to recruit the nation’s top prep players. Drew Brees Passing Academy: New Orleans Saints quarterback Drew Brees hosts his 2nd annual football passing academy at ESPN Wide World of Sports Complex from June 26-29. The academy features elite instruction from Brees and other NFL players and coaches as well as a 7-on-7 competition expected to attract many of the country’s elite high school players. Orlando City Soccer Club will continue to play its 2014 regular-season home games at ESPN Wide World of Sports Complex throughout the summer. To enhance the experience for spectators, additional stadium seating has been added to surround all four sides of the main soccer field at ESPN Wide World of Sports Complex, bringing seating to approximately 5,200. This is the Lions’ final United Soccer League (USL) season before becoming the 21st Major League Soccer (MLS) franchise in 2015. Whether guests want to lounge on the beach or take the plunge and try every attraction, Walt Disney World Resort water parks are the perfect place to cool off this summer. 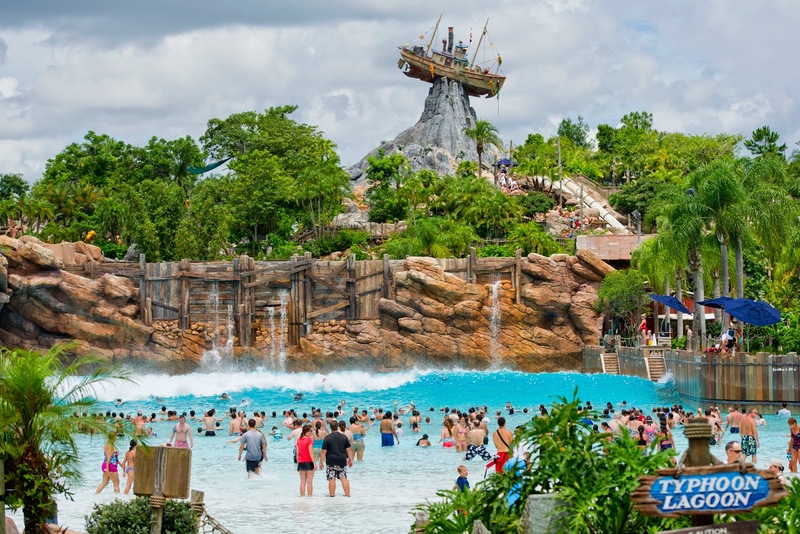 At Disney’s Typhoon Lagoon guests can snorkel with sharks, stingrays and tropical fish in a coral reef, plunge down rushing rapids, sunbathe on the sandy beach and glide down a lazy river. Themed as a melting ski resort where a freak snowstorm hit Florida, Disney’s Blizzard Beach is home to some of the most thrilling water rides in the United States, while also offering guests a tranquil river to float down or a great place to relax on the beach. For the most up-to-date park hours, please visit disneyworld.com/water-parks. The Disney Magic returns to the Mediterranean this summer with exciting new ports and popular destinations, treating guests to the best of Europe. New for the European season, Disney Cruise Line will use Venice, Italy as a homeport for select sailings. During these cruises, the Disney Magic overnights in Venice, giving guests the opportunity to experience an evening in the spectacular city. Disney Cruise Line also will visit new destinations in the Greek Isles and Sicily for the first time. Guests will experience richly diverse cities and cultures, showcasing iconic locations, romantic boulevards, bustling bazaars, sun-drenched islands and the brilliant blue Mediterranean Sea. Throughout the summer season, the Disney Wonder sails seven-night cruises from Vancouver to Tracy Arm, Skagway, Juneau and Ketchikan, Alaska. One special nine-night cruise calls on Sitka, Alaska—a first for Disney Cruise Line. These cruises combine the natural wonder and adventurous spirit of Alaska with the unparalleled, family-friendly experience found on a Disney ship. Disney Cruise Line works closely with Alaskan tour operators to create exclusive-to-Disney family-friendly Port Adventures that allow guests to experience Alaska’s natural beauty and rich history. The Disney Dream and Disney Fantasy will continue to sail out of Port Canaveral for summer 2014. For TICKETS and INFORMATION, please click on the banner below.